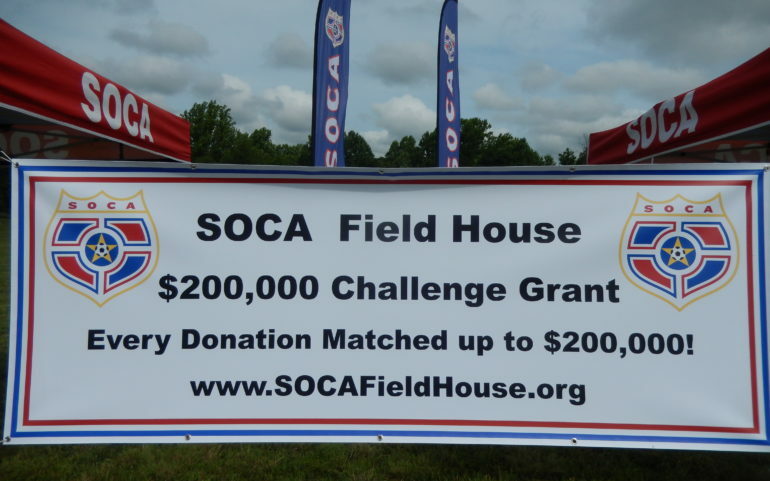 SOCA Field House | $200,000 Challenge Grant! Every Dollar Matched up to $200,000! $200,000 Challenge Grant! Every Dollar Matched up to $200,000! 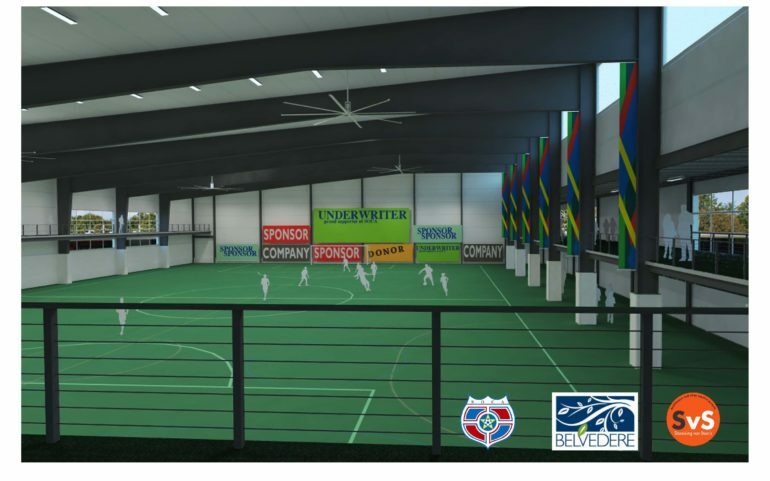 Help SOCA complete its Field House Project and welcome players to its new home! 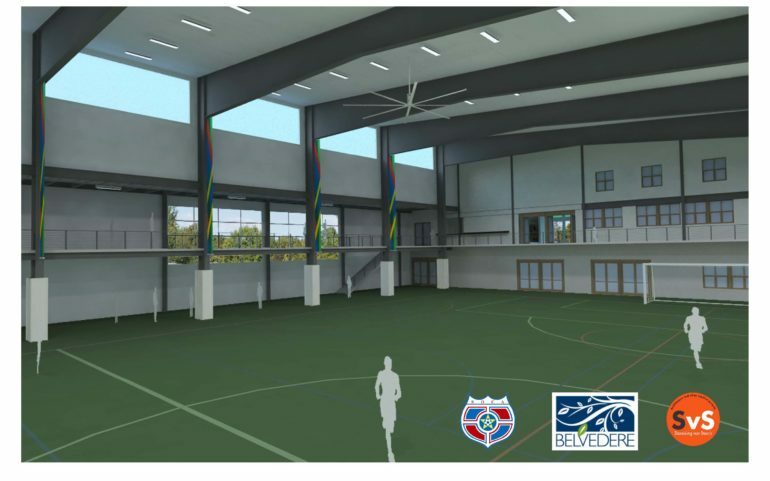 Contributing to the $200,000 Challenge will enable SOCA to complete phase 1 of the Field House and open the facility for play. 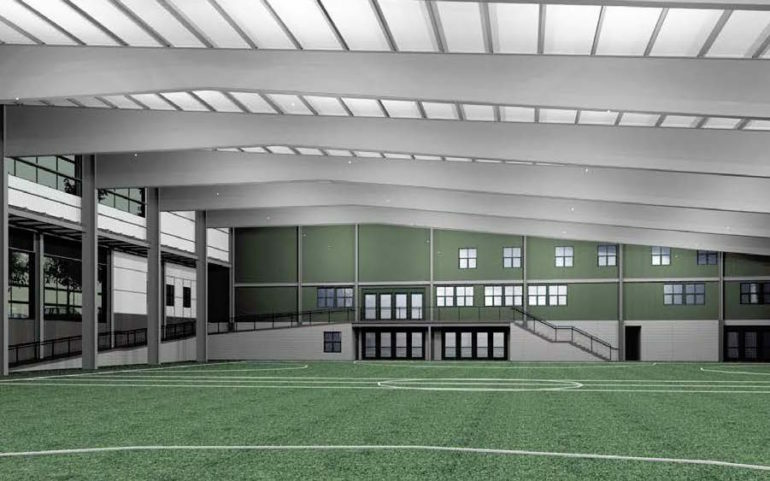 Phase 1 includes an enclosed 60 x 40 yard playing field on state of the art synthetic turf. Protected from the elements, the turf field will be available in all four seasons and will be open during rain or snow. 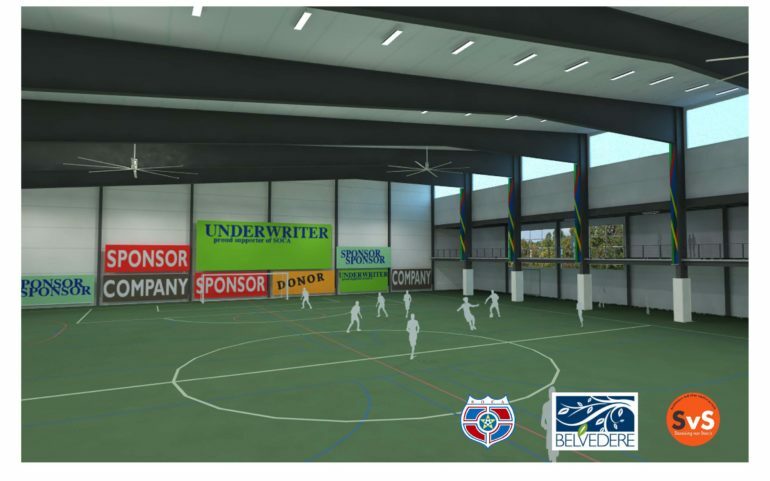 With dividers that will drop down from the ceiling, the playing surface can be configured as one large field suitable for 7v7 play or as four regulation size Futsal Courts. How can we get there? Double your money! 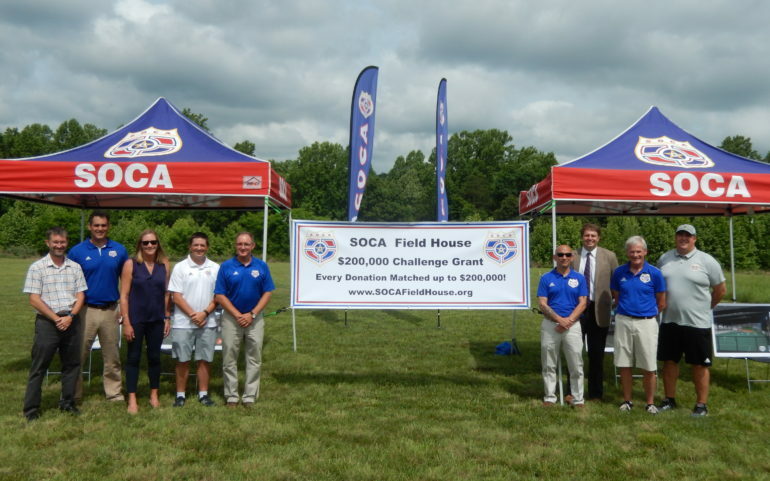 SOCA must raise $200,000 by December 5 to earn the additional $200,000 to complete the challenge. The Perry Foundation has agreed to match dollar for dollar all donations received up to $200,000. That means your $100 gift will be doubled to $200, $500 gifts doubled to $1000, $5000 to $10,000 and so on. Are there 200 people willing to donate $1000? Are there 2000 people willing to donate $100? There are many ways for the organization to raise $200,000 but it will take community support and participation to make it happen! SOCA is a 501c3 not for profit organization and your donation can be tax deductible. The Field House will have a donor recognition wall in its atrium. Donors will be recognized on the wall starting at $1000 contributors. Donors are further recognized at $5000, $10,000, $50,000 and $100,000. 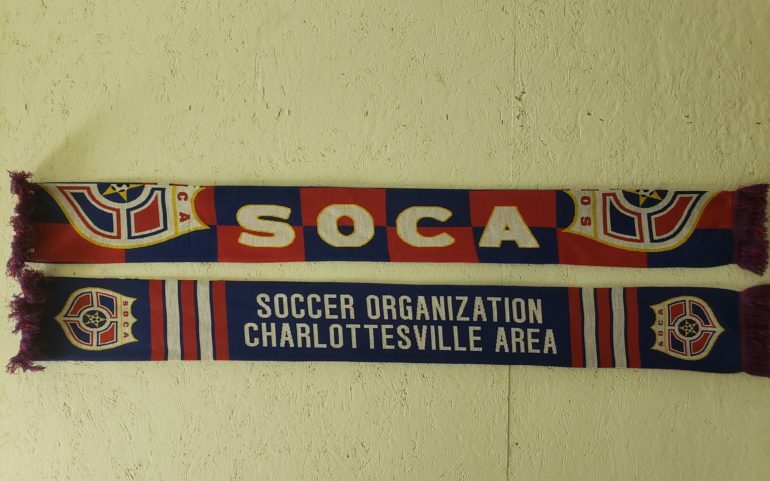 Every contributor to the matching campaign of at least $250 will receive a stylish, two sided SOCA scarf (see in slideshow above). Help SOCA improve the local field inventory. 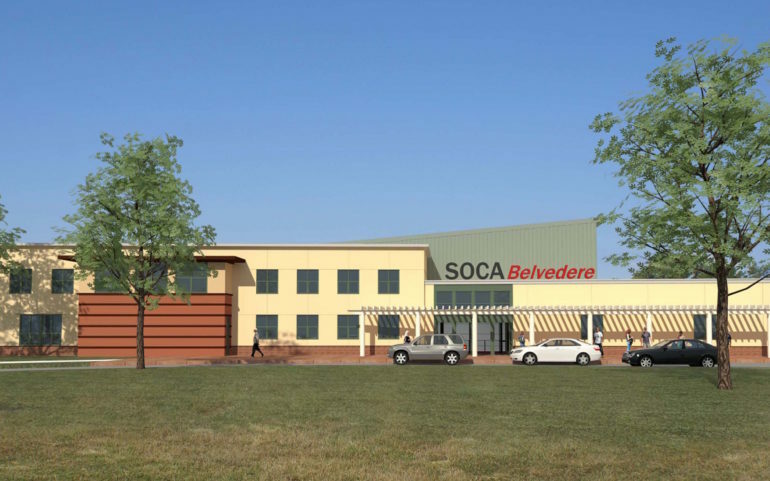 Help SOCA address the soccer community’s number 1 need – Facilities! Local fields are often in poor shape and unsuitable for play. Rutted and rocky pitches can lead to numerous soft tissue injuries for players and with no turf fields available on a regular basis, rainy days often lead to rain outs and no play. The Field House turf field will be open for play 7 days a week, rain or shine, and unlike grass pitches will be durable enough to sustain constant activity. Future developments include a head house for the building with a fitness room, locker rooms, meeting space, social space and club offices. 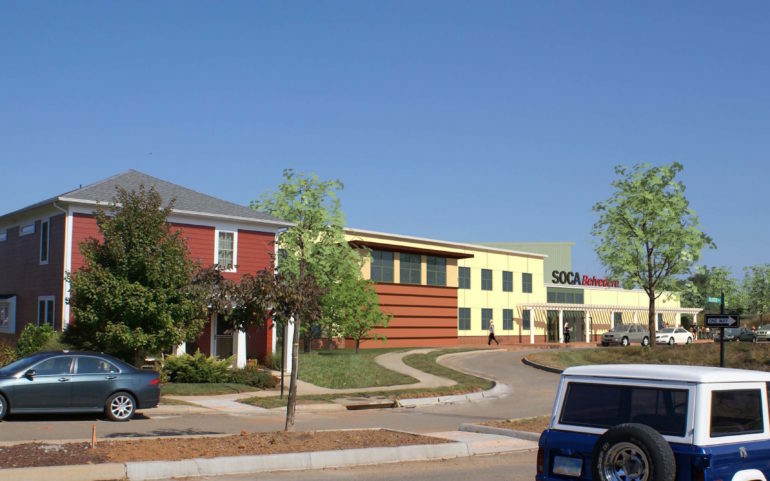 If we can achieve the $200,000 Challenge, SOCA can open the building for play in late 2019. Pledges of larger gifts over multiple years are also being accepted. Please contact SOCA Executive Director Matt Wilson at Matt.Wilson@SOCAspot.org to make a multi-year pledge or give today via the form below. Thank you for your support of youth soccer and the Charlottesville community!! In honor of Don Long. Merry Christmas and thanks for all your help this year. As parents of a former SOCA player, we are pleased to support this organization. We have already recv'd the scarf. May e we can participate the building part too? Go SOCA! Thanks for all that you do for our kids! For the dedicated coaches who make it all possible! Let's get this Field House built! Best of luck to SOCA!!! Make this an anonymous donation? If you select "Yes", SOCA will still be able to see your name but your donation will be displayed with "Anonymous" on this website. Write a brief message of support for the donation list (optional). This message will not be displayed if you select "Yes" to anonymous donation above.